There are a number of parts to a golf lesson structure that I would towards. The introduction, analysing the swing, testing solutions and closing the session with homework to do. A typical start to a golf lesson is observing the golfer’s ball flight and asking a series of questions to identify the level of golf that they are playing to. What their goals are and what the golfer would like to work on. During this time, the golfer would be warming up their swing by hitting a series of shots. I suggest starting with a wedge and then onto 7 iron, 5 irons and woods until I have identified the golfer’s swing faults. Or in other words, I am watching the golfer hitting golf shots until I can identify clearly what are the parts of their golf swing and or body movements that are affecting the club face at the point of impact. Then we work on swing solutions and test those solutions by making suggest changes and see how those changes develop. At the end of the session, we talk about what we did and a summary of the golf lesson is emailed later on that evenining or following day. 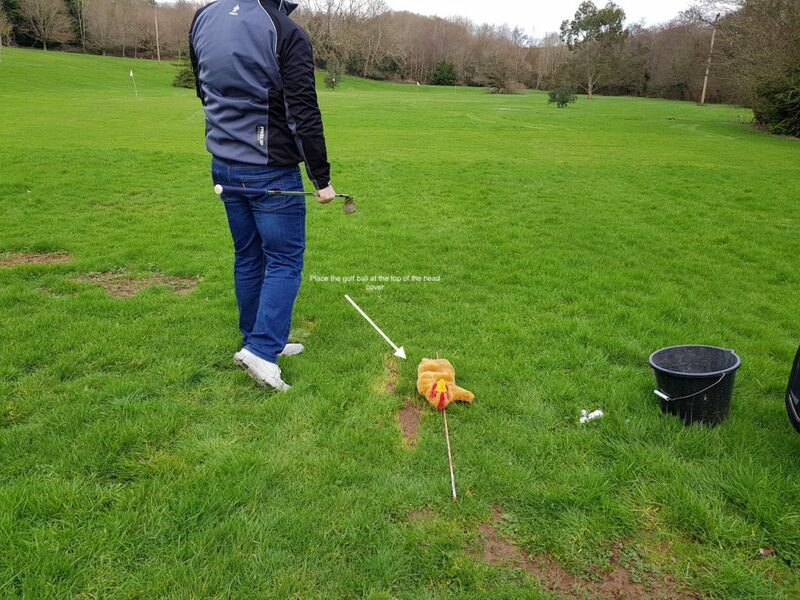 In this golf blog post, I would like to touch on a few methods that I use to analyze golf swings such as ball flight, body movement and a little on takeaway and swing path. Finally, the last note is a quick 1-hour golf practising structure. Where the clubface is pointing when the club face hits the ball. Ideally, we would like to have our swing path and clubface pointing towards our intended target when striking the ball. 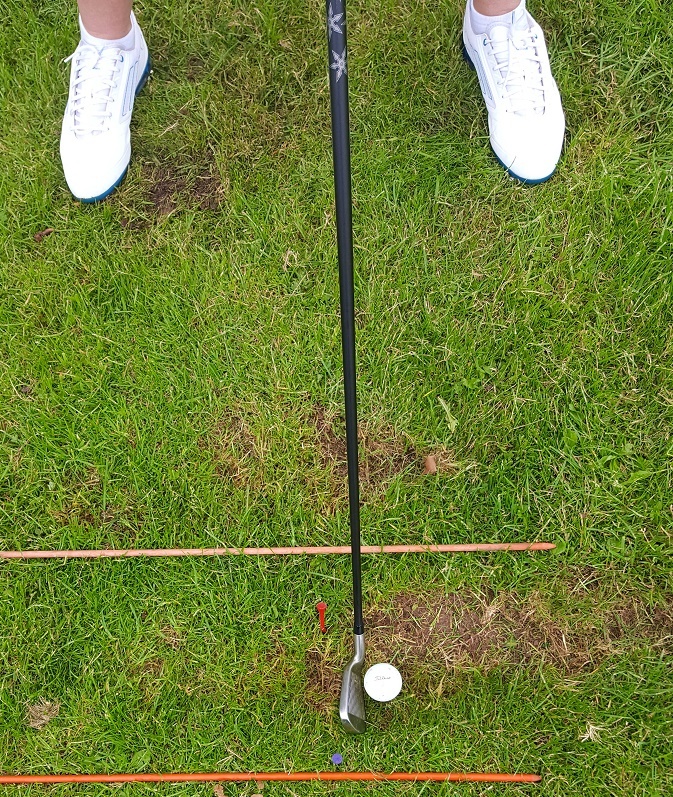 Depending on the club number and loft of the club; should you position the ball left of centre and gradually move the ball further left as you hit balls with the same club. You may notice that you are hitting the ball higher and the opposite happens should you move the ball position right of centre. 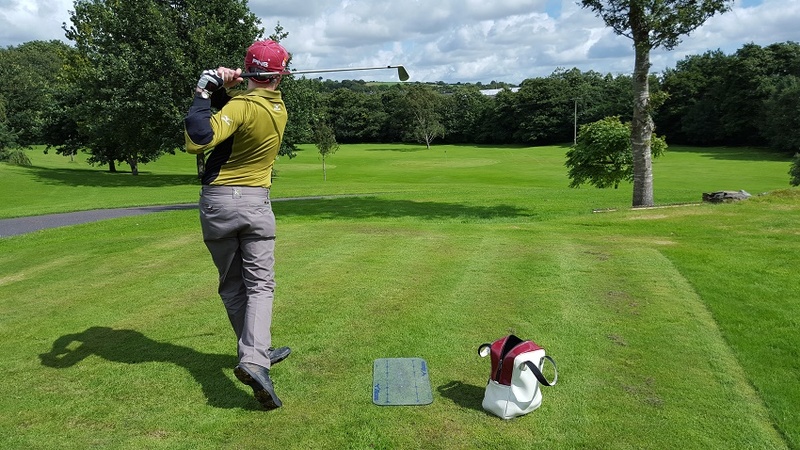 What is important here is that each golfer should identify their suited ball position for each golf club to maximise their potentially best ball fight with any one of their clubs. This practice swing drill is that you can make a ¾ length backswing or for right-handed golfers; swing your left arm back to an 11 o’clock position. Hold at the top of your backswing for 3 seconds, then turn your hips first and swing the club just slightly after you move your hips. Both swing parts move into the follow-through position where your hips are fully turned with your right toe pointed into the group. Then the club is behind your neck and your weight is balanced on your left foot. I like working with a straight back and straight through swing path. I like the half swing drill to help work on creating a better take away and improving the club head swing through the shot. Using a couple of poles or tees as props can help you with working on your swing path. In recent times I recommend placing a headcover by the toe of the club. Then practice hitting golf balls without hitting the head cover. I find that this is an excellent tool for helping golfers to swing the club away from the ball on a consistent line/track. Schedule your practice golf times and add a structure to how you practice. I like the approach of plenty of skill-based exercises to promote good body movement habits rather than hitting ball after balls. Try practising with a basket of range balls. A Simple 1-hour Practice Plan. Start your pre-shot routine, pick a club and think of a shot to play. Make one or two really good practice swings and feel what your best ‘swing movement’ is. Build your set up again. Imagine and picture the images of that particular good swing hitting the ball to the target. Set up again then and hit the shot. Repeat the same method as above and that routine will help you play on the golf courses. Working on your golf swing technique. Cool down by working on hitting pitch shots to different targets. Indeed, keep working on your game. Clearly, by collecting your data from every competitive game played will identify the poor performing areas of your game. Log that data and review after every 4 – 6 games. This data can be shared with the Golf Pro that you work with. You will get better at playing golf, just keep going and keep playing. Finally, if you have any questions at all, please do not hesitate to contact me.